The USMC Ball provided a wonderful patriotic and diplomatic event for the US Embassy and Slovenian friends at the Union Hotel. Top military from the US and Slovenia were present to help celebrate the USMC's 238th Birthday in this formal affair. 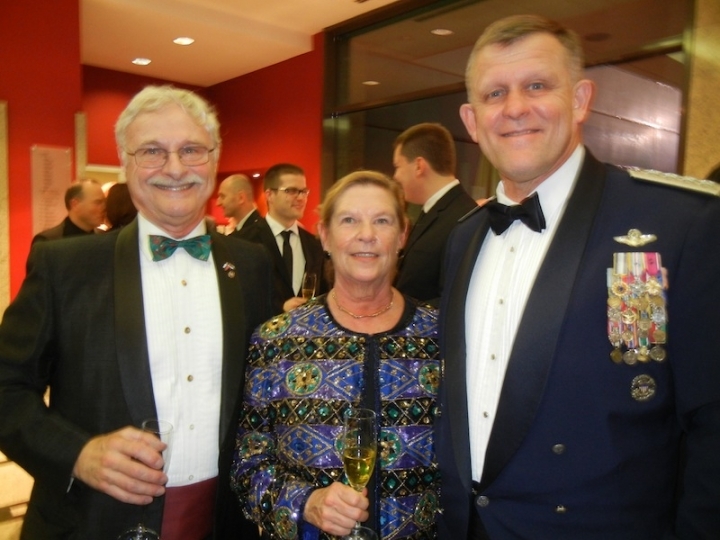 GENERAL Franc Gorenc, Commander USAF Europe with Ann and Dave. GEN Gorenc visited his childhood home south of LJU by helicopter before being the Guest of Honor at the Ball.